I made an effort to avoid a particular school custodian. Every time I saw him on campus, I immediately searched for an alternative route to my classroom in order to avoid being accosted by him. I didn’t have a deep-seated dislike for him, or disrespected his work. He was good at what he did. However, this custodian had a nasty habit of stopping you on campus to debate you on a variety of political, religious, or personal topics. Frankly, saying it was a debate is a stretch. It was hard to focus on what he was talking about, because he packed so much in a short 15 minute one-way conversation (Actually, if you were the one listening to it, 15 minutes was far too long). And, too many times, I wouldn’t be able to get a word or a chance respond to his diatribe, whether I agreed or disagreed with him. Simply put, he said too much for one to be able to make any counter-arguments within the time constraints of a passing period between classes. The custodian, unfortunately, isn’t the only one using this tactic. Nor is it limited to daily oral conversations. The written word is not immune to it. It’s found in newspapers, magazines, TV shows, and Internet chat forums. In fact, several writer on this site (Hubpages.com) used the tactics in their articles or comment sections. One infamous example occurred in the first televised presidential debate between candidate Mitt Romney (who used the tactic) and President Barack Obama. Gish Gallop is the name of the tactic. 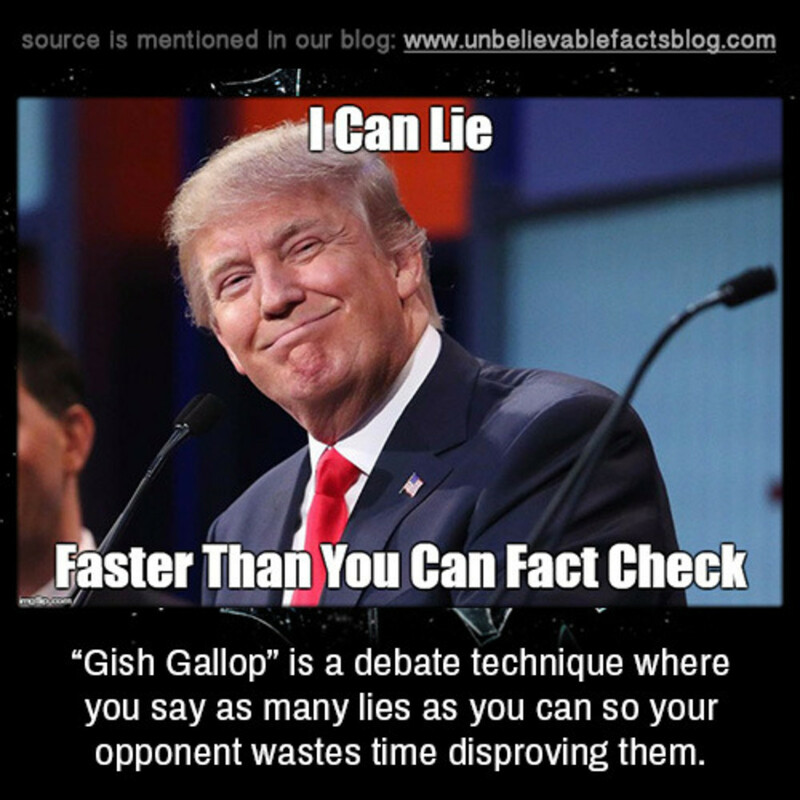 Named after a debater from the late 1980s and early 90s who infamously packed a lot of nonsensical information in his speeches, the Gish Galloper (debater using the tactic) favors quantity over quality to take over and win an argument. It’s also become the favored tactic used by those who lack sufficient knowledge to debate others who have it. Sneaky? Yes. Effective? Well, that depends on who is using it and who has to put up with it. 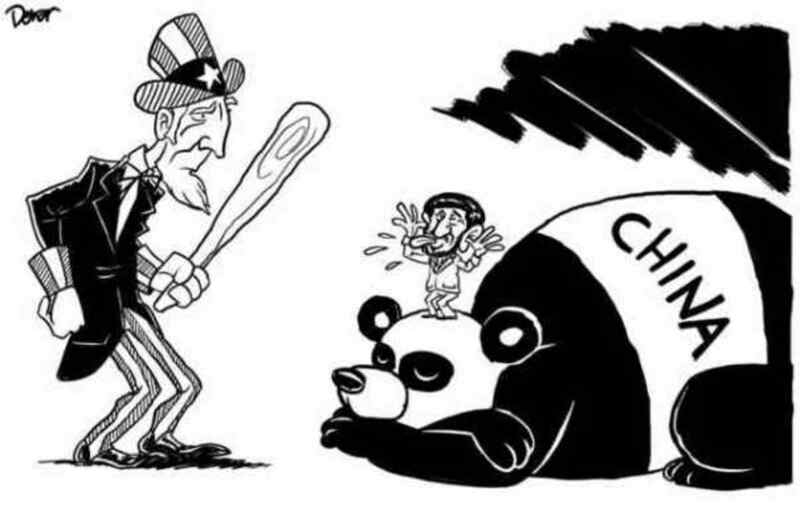 And, in terms of fighting against it, an opponent needs to recognize it and decide to fight or walk away. The Gish Gallop should not be confused with the argumentum ad nauseam, in which the same point is repeated many times. In a Gish Gallop, many bulls**t points are given all at one. What is the Gish Gallop? Many Internet sites define the Gish Gallop as a rhetorical device. In addition, sites such as Rationalwiki.org and (Pseudo)-Science Blog describe it as a fallacy. Others mention it by another name: the proof by verbosity. 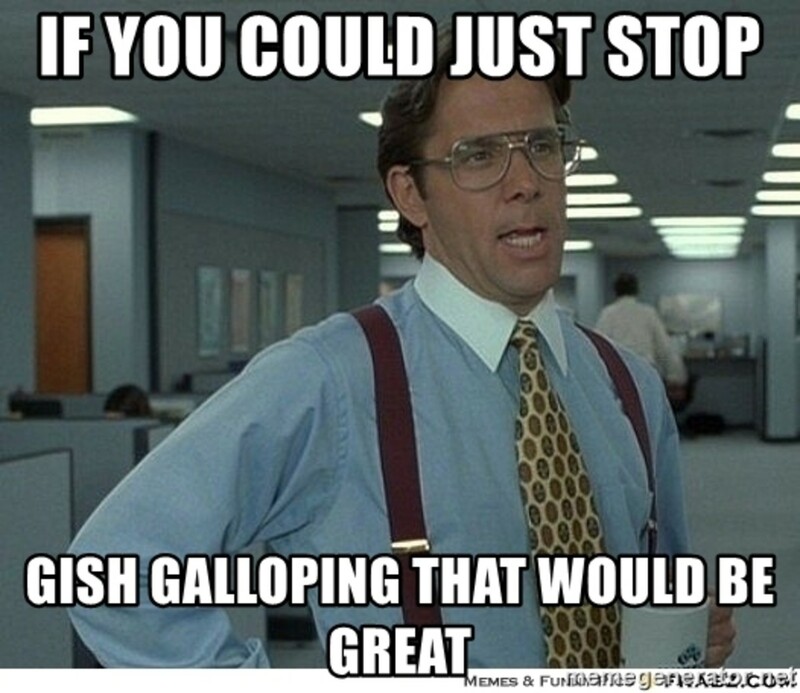 Most will agree the Gish Gallop is a tactic a debater uses to overwhelm an opponent with a mountain of “evidence” or “problematic situations” in order to make the case that the opponent doesn’t have an answer for them. The problem, however, is that the quality of the evidence isn’t important. A Gish Galloper using this tactic will shoot out dozens of true, false or misleading information. The information are usually brief (one to three sentence on average) and very general in nature. In addition – and possibly on purpose --, the information lacks specific evidence to support the Galloper’s argument. The opponent on the receiving end of the Gallop may be skilled in the area being discussed – and most likely can debunk or counter all the information given – but the amount and speed of the information given to him/her can be overwhelming. This is critical if the debate in a speech or Internet forum is limited by time or the amount of words/characters. In terms of writing, the Gish Gallop is evident in articles that may briefly list “facts” or given general or vague accounts in bullet lists. As an example, there was a book called 100 Authors Against Einstein, in which an author compiled several brief statements from people who had something negative to say about Einstein’s Theory of Relativity. In many cases, the authors mentioned didn’t have any scientific training or were not involved in physics. In other cases, the information was cherry picked and used to manipulate and adhere to the book’s theme. To establish control over the debate. Most importantly, the Gish Galloper is aware that the opponent may specialize in the topic being discussed. He or she may also realize that the nature of the opponent is to give a thorough and detailed rebuttal that will be much longer than the one succinct thread of information presented with the confines of the Gish Gallop. As a result, a debate becomes an attrition of words and fallacies. In a sense, the Gallop can corrupt anyone’s argument regardless of ideology. Ideology plays a huge part. A majority of those that use this tactic often describe themselves as conservatives. Among the ardent promoters of the Gallop are creationists, climate change deniers, Flat-Earthers, paranormal researchers, Ufologists and (most recently) Trump supporters. Still, liberal individuals and left-leaning groups have used this tactic, too. And in rare cases, well-meaning and reputable science blog writers have used them in articles. In a sense, the Gallop can corrupt anyone’s argument regardless of ideology. The Gish Gallop has a colorful history. Although variations of it existed for more than a century, the term was coined approximately 30 years ago. It was named after the late and noted creationist Duane Gish. However, the tactic wasn’t named to honor him. Eugenie Scott from the National Center for Science Education christened the tactic with the name. Scott often debated Gish and felt the painstaking brunt of the Gish Gallop. Duane must have sensed the frustration and annoyance that he dished out in their debates. The tactic caught on among numerous fringe groups. Whether in person, on TV or in writing, conspiracy theorists, ideologists, and others took aim at the logic and reasoning of their adversary. Thus, it was no surprise that politicians began using them. The Gish Gallop made its presence known on the biggest stage possible. Candidate Mitt Romney came out swinging in the first of three debates during the 2012 U.S. Presidential Election. In that debate he peppered President Barak Obama with succinct and brief information that left the incumbent visibly befuddled and frustrated. Obama struggled to rebut Romney’s talking points, but the sheer volume (which were added as he attempted to debunk one topic), making it appear that he was not prepared and being outwitted. It didn’t help that Romney spoke confidently and with urgency, giving him total control of the debate. In truth, Obama fell into the Gish Gallop trap, and did it on live TV. 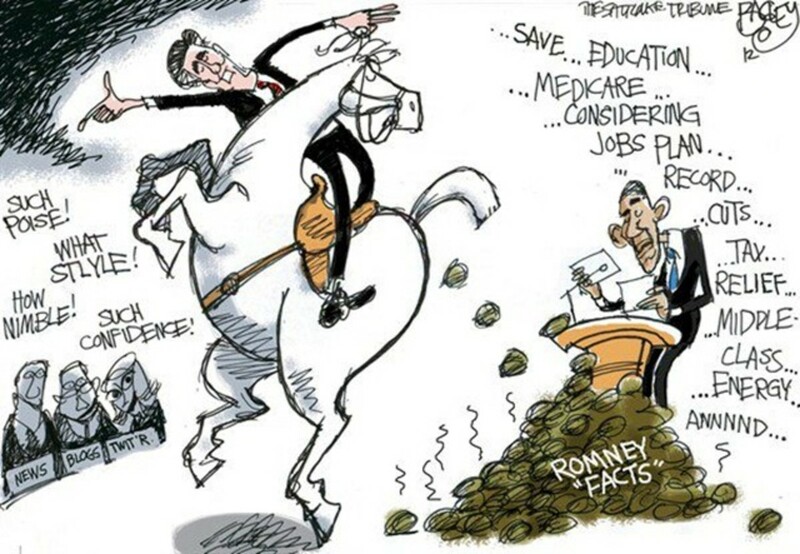 As a result, pundits, commentators and select focus groups felt Romney won the debate. This resulted in a bump in the polls (and the lead in the race) for Romney. The rise in the poll was brief. More prepared and confident, Obama took control of the second debate. He prevented Romney from using the tactic. As a result, Romney’s Gish Gallop became ineffectual. Eventually, Obama won reelection. Defeating the Gish Gallop was not a major factor; however, it wasn’t effective in preventing his victory, either. The debates from the presidential election was the most visible example of someone using the Gish Gallop. It was also an example of how one handles it. Immediately after the first debate, many people knowledgeable of the tactic took to the Internet and condemned its use. This was probably the first time the public heard of it…including me. In 2015, a reader of Dr. Bo Bennet’s blog, Logically Fallacious (based on his book of the same name) posed a question about the ways to address and combat someone using the Gish Gallop. 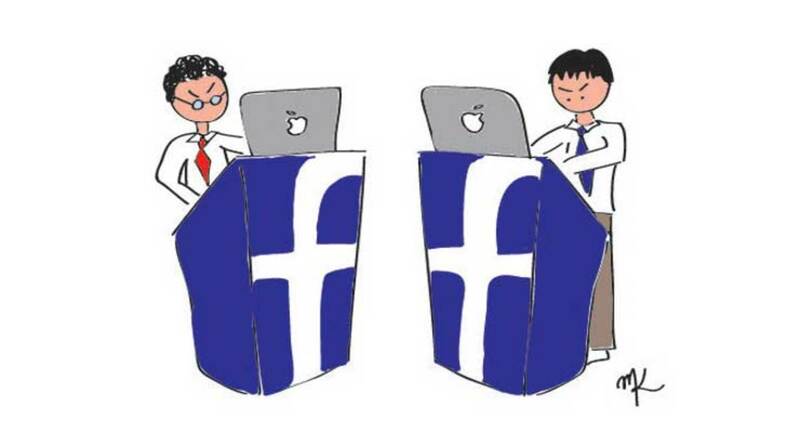 Too often, the debater using the Gish Gallop is trying to take charge of the debate and forcing the opponent onto the defense. The opponent in this matter is given a slim choice of remaining silent and/or attempting to debunk all the inquiries thrown at him/her. Discontinue debating someone using this tactic. 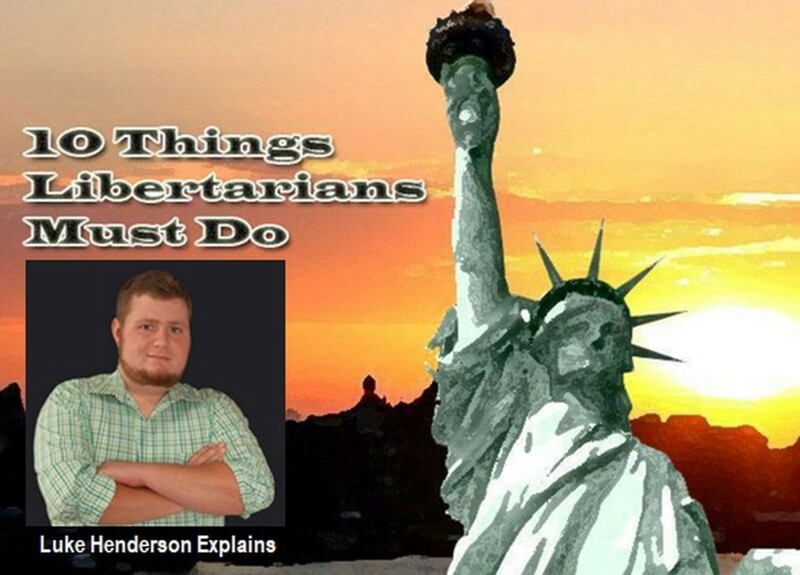 Essentially, it’s a way to take over the debate and force the debater to play by the rules (or fairly). In the most extreme case, however, it’s probably better to avoid debating someone who is a chronic user of the tactic. This is something I ended doing with the custodian. Simply put, I don’t have enough time between classes and I already know he’s not going to change. I need those 15 minutes in my life, and I don’t intend to waste it on someone who just want’s talk and talk. 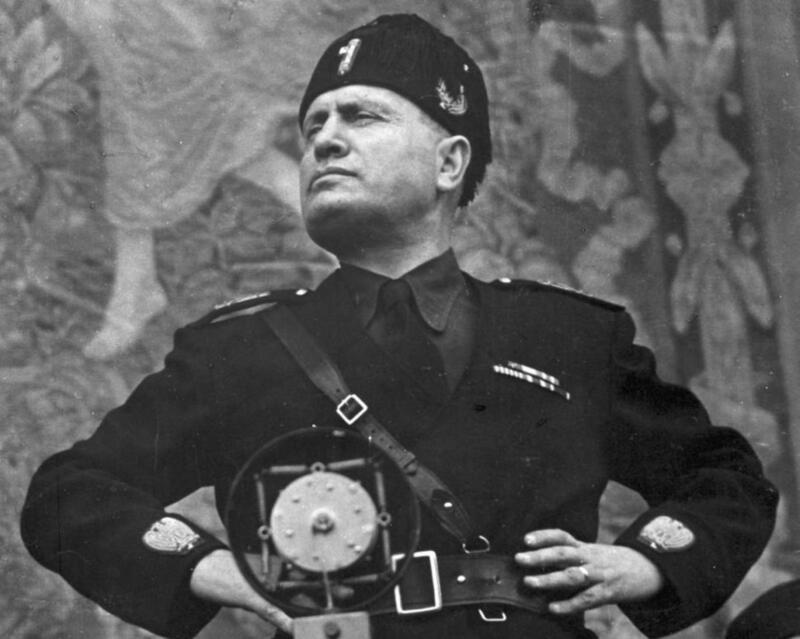 Recently, a devout Trump supporter and conservative writer on Hubpages, wrote an article about his definition of Fascism. While its simple title seemingly suggests it's an objective article, it is actually extremely suggestive. Its message is clear -- fascism is socialism; therefore, it is a leftist philosophy. What's not clear is the evidence presented. It is a litany of vague and ambiguous claims that runs the gamut of validity, conjecture, and out-right distortions and/or lies. By far, this is not a well written article; however, it is a prime example of the Gish Gallop. Trump Says Mueller "Totally Exonerated" Him of Collusion and Obstruction. Is That True?? New section added to the article. This time, somebody wrote an article on this site that's clearly a great example of the Gish Gallop. It's packed full on ambiguous claims that Fascists such as Mussolini and Hitler's NAZIs were supposedly left wing rather than right. Quite a few writers on this site use them. And to be frank, many of their articles are tough to read. It appears that the most ideological ones use this, whether they realize it or not. I believe many of these writers don't do a great job of pre-writing their stuff and resort to listing a bunch of inforomation in order to put their stuff on this site in a hurry. As a result, they make this fallacy. I remember that first debate but I had never heard of the Gish Gallop and when I first started reading this my first thought was that you had just made that up. Even though I'd never heard the term I'm very familiar with the action, even here on HubPages. I usually ignore it. Great Hub, Dean. I am glad you have explained the Gish Gallop to me. As you well know, I was a recent victim of this tactic in a couple of my Hubs. One of which you visited and enlightened me regarding what I was up against. Thank you very much for that. You learn something new everyday, they say. This was new information to me. Probably because I don't like to debate or argue. Interesting nonetheless. Dean, I am familiar with the tactic you are talking about, but I had no idea what it was called. Thank you for enlightening us. I think we have all been a victim, including some of the forums here on HP. One person in particular is a master at the Gish Gallop. Very good article. @ Mike. I saw that interview of KellyAnne Conway by Chris Cuomo. I could see the frustration on his face as she jabbered on. By the way, she really made herself look bad by evading the question with a bunch of irrelevant BS. Yeah, there are times I listen to Conway talk and I cringe. She sure does a lot of deflecting and come up with extremely bizarre statements. Anyway, thanks for the comment. It didn't take long before a couple of people made Gish Gallop arguments in the forum, too. Also, the other person from the OC is guilty of it. Dean: This is an excellent article. I have been in many political forums and seen the Gish Gallop used by many people. I watched a debate by Chris Cuomo and Kellyanne Conway. She used a technique that I call the Conway Two Step. It contained the Gish Gallop as part of it. Here is simplified version of it: Coumo asked her if she believed Trump was telling the truth about the hush money payoff. The first thing she does is look for keywords that she can use to deflect the question. In this case it was the word "truth." Her reply: "You want to talk about "truth" Her is the "truth." The president has a booming economy. It is the best economy in 30 years...Yada, yada, yada..Now she goes into the Gish Gallop about the economy. I watched 30 minutes of her deflecting every single question that Coumo asked and to his credit, he tried to keep her on track. But alas, it was an exercise in futility. She never answered the question about was he lying or telling the truth about the hush money. Thanks for writing your article.